VIEWS VIEWS VIEWS. 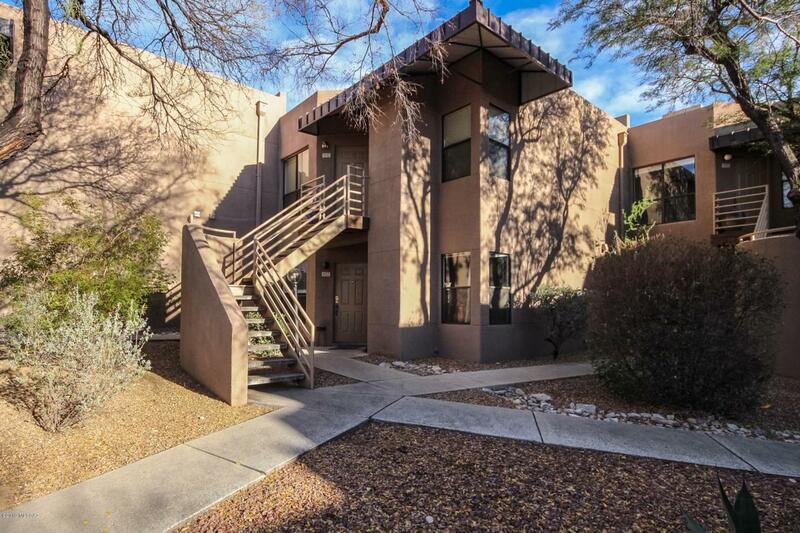 First floor unit in the highly coveted building 9 in Canyon View at Ventana. Home faces the Coronado National Forest and sits at the base of the Catalina mountains. Access the Ventana Canyon Trail through your own back door! Enjoy bird watching, as well as all of the desert wildlife that Mother Nature has to offer. Enjoy your morning coffee with unobstructed nature and mountain views. Popular floor plan with 2 bedrooms and 2 baths, tile throughout living space, fireplace and much more. Enjoy luxury living with exercise facilities, jogging path, Rec center, 2 heated pools & spas, tennis court, and BBQ areas. World class golf course located next door! Please note: Seller will counter offers between $186,000 and $195,000.